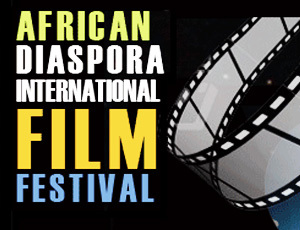 Welcome to the world of the African Diaspora International Film Festival (ADIFF). In our reality, people from diverse races, nationalities and backgrounds come together to enjoy important cinematic works of creativity, intellectual expansion, identity, and equality. In this world there are no boundaries around people because they are embraced in a universal understanding of humanity. This is the element of commonality that weaves through this annual event of images from Africa and the African Diaspora. Today, more than any other time, there are more films by black directors, on the black experience and with featured black actors enjoyed by all audiences. Notwithstanding, the international Black communities, whether in Europe, Latin America or Africa, continue to play a disproportionately marginal role in the art of cinema. Further, many creative and visionary films lay languid, collecting dust without the light of a screening owing to the lack of distribution outlets that showcase the films of our experience. The images of stereotypes, myths, and deprived cultural experiences continue to be drawn out while talented people of color proceed to run up against the infamous “numbers” game with respect as to how many directors or films of color can an “already permeated” market absorb. The ADIFF was created in November, 1993 by the husband and wife team of Reinaldo Barroso-Spech & Diarah N’Daw-Spech on the belief that education is power. He is an educator in foreign languages and Black Literature and she a financial consultant and university budget manager. They are of the reality that film is the truest medium for creating a fertile ground for education. The future of our communities of color is directly tied to the expansion of our experiences, the depth and breadth of our reach and interaction with other communities and the framework from which our talent can stand front and center. Our vision is to see an informed and talented community coming together to exchange ideas and strategies for improving our respective worlds. Welcome to our future. ADIFF’s mission is to present these films to diverse audiences, redesign the Black cinema experience, and strengthen the role of African and African descent directors in contemporary world cinema. In response to this mission, ADIFF features the work of emerging and established filmmakers of color. Most important, ADIFF distinguishes itself through its presentation of outstanding works that shine a different or comprehensive light on African Diaspora life and culture –no matter what the filmmaker’s race or nationality.